A 2016 study shows the UK drinks so much coffee it has invaded their water systems. I far prefer Irish tea. More surprisingly, the researchers also found large amounts of caffeine in the groundwater. Caffeine is an organic molecule found in coffee, tea and soft-drinks. Coffee is the world's most popular drink, a comfort to millions and a daily necessity for many due to its stimulating effects. The annually produced 120,000 tons of coffee are enough that every person on the planet could consume at least one caffeinated beverage every day. The concentration of caffeine found by the research was highest under major cities, especially London. The caffeine most likely enters the underground groundwater reservoirs from leaking sewer sources. Aquifers in chalk and limestone are especially vulnerable to this contamination. Because limestone is a water-soluble rock, large cavities are found in limestone formations, allowing wastewater to seep into the ground in urban and agricultural areas. Consumption of one gram of caffeine per day is associated with a condition known as caffeinism in humans. Symptoms of caffeine poisoning include nervousness, irritability, restlessness, insomnia, headaches and an irregular heartbeat. 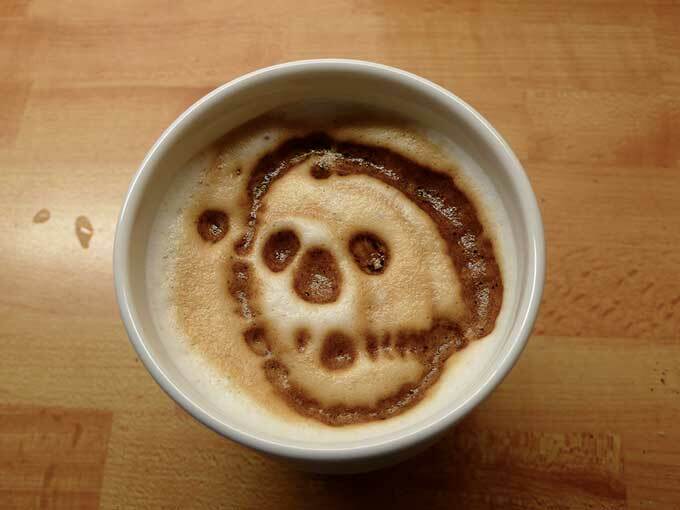 A massive caffeine overdose of more than fourteen gram (as found in 75 to 100 cups of coffee) can result in death. The highest concentration measured in the groundwater study was around 10 micrograms. A cup of Espresso contains almost one thousand times the concentration of caffeine.